For many residents of urban areas around the world, cities represent the promise of a rewarding life that allows them, more than their rural counterparts, to reap the benefits of economic growth, developments in mass transit, and technological innovation. As a byproduct of this progress, however, densely populated metropolitan landscapes pose unique psychological challenges not found in other environments. 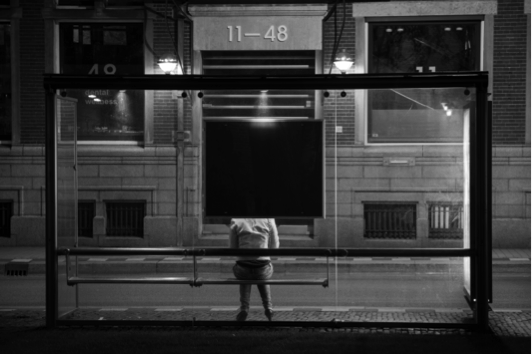 Social isolation in cities is a growing epidemic. The percentage of American adults who say they are lonely has doubled since the 1980s from 20 percent to 40 percent (Anderson, 2010). According to a 2013 survey conducted by ComRes on behalf of Radio 2 and BBC Local Radio, 52% of Londoners feel lonely. The growing problem of isolation in cities belies intuitive thinking. Metropolitan areas often regarded as centers of culture and commerce teeming with people who all crave a sense of connectedness. The reality for many is that cities provide an overwhelming sense of anxiety driven in part by the dense crowds of anonymous strangers that constantly surround us. A large cross cultural comparison of rural and urban areas in developed countries found that urban living raises the risk of mood disorders by 39% (Peen, Schoevers, Beekman, & Dekker, 2010). The issue of social isolation in cities is so pressing that programs like Talk to Me and The Loneliness Project were created to take on the problem. Although differing in intensity, we argue that the effects of isolation in urban environments parallel the effects of isolation in prison confinement settings, thus rendering prisoner solitary confinement a suitable laboratory for exploring design features that can be implemented in urban planning to promote mental health. A discussion of prison isolation is relevant to urban design for two reasons. First, we propose that prison isolation represents an "extreme laboratory" in which to study cause and effect relationships between physical design features and mental health outcomes. In particular, it enables the examination of long-term effects of social, emotional, and physical detachment. Accordingly, we review the threats to mental health posed by prison confinement and, more generally, with living in physical spaces that promote social detachment, and propose that they are informative for planning urban environments at the micro and macro levels. Prison architecture has historically featured designs that function to minimize contact between inmates as punishment for criminal activity and solitary confinement is still commonly used to address prisoner disobedience. There is little evidence for the rehabilitative value of isolation; however, ample evidence points to a slew of mental health problems that come from being social and physically cut off for long periods of time. Among them: hypersensitivity to external stimuli, hallucinations; anxiety; panic attacks; memory deficiencies; concentration issues; paranoia; and impulse control (Grassian, 2006). Most urban environments were not designed with the intent of social isolation; however, we argue that this is frequently a consequence of insufficient planning and vision. Over time, the product of urban isolation, similar to prisons but not as extreme, can be mental illness. Finally, we feel that the “prison vs. urban isolation” comparison represents a unique approach to exploring mental health issues. We discuss the underlying psychology of social isolation from an adaptationist perspective and argue that an evolutionary view provides clues about the ultimate origins of psychological distress, thus providing insight into urban design solutions. Working within this adaptationist model, we extend these ideas from prisons to urban planning by unfolding them along five design themes: group size, face-to-face interactions, savanna features, mobility, and city responsiveness. The literature review presented here is intended to provide context and deeper understanding of the connections between the issues of social isolation, mental health, and urban design. Following the methodological advice of Onwuegbuzie and Frels (2016), we implemented a seven-step procedure that began with problem conceptualization and concluded with synthesizing and disseminating information. We systematically surveyed relevant articles, books, and other significant publications using specific inclusion criteria: (1) sources must be directly relevant to the topic; (3) sources must be peer-reviewed; and (3) quantitative and qualitative studies were both allowed. Historically, the strategy of confining a prisoner alone for a period of time has served as one of the most common solutions to the challenge of prisoner disobedience. There has long been a philosophical debate about the humanity of imposed isolation. Some consider it unnecessarily cruel while others see it as appropriate and justified punishment. Within the criminal justice community, there is an ongoing discussion concerning its effectiveness as a deterrent to future rule-breaking. The aim of this section is not to weigh in on either of these debates, but to identify how solitary confinement affects inmates on a psychological level. Locking people away for 22 or more hours a day is considered to be so egregious that a 2011 United Nations special report condemned the practice in general and specifically banned the practice for juveniles and the mentally ill (Méndez, 2011). Yet in various forms, solitary confinement is currently used in criminal justice systems worldwide as a means to manage disruptive inmates. Generally speaking, the method involves placing an inmate in a secluded cell with little or no social interaction. In psychologist Dr. Phil Zimbardo’s infamous 1971 Stanford Prison Experiment, one of the volunteer participants randomly assigned to the inmate role, prisoner 819, refused to eat his sausages when ordered to do so by the guards on duty. He was subsequently sent to the “hole” - a makeshift holding cell that was in reality a closet – as punishment for his actions. As leader of the prisoner rebellion, the guards felt it necessary to assert their authority on him to quickly end the insurrection. Eventually, prisoner 819 broke down emotionally and had to be reminded by Dr. Zimbardo himself that this was only an experiment (Haney, Banks, & Zimbardo, 1973). Perhaps it is not surprising that few structural changes of significance were necessary to convert part of the psychology building at Stanford University in to a mock prison. Like buildings on many university campuses, this one already had elements in place that give the feel of a real prison. Photo courtesy of Stanford Archives / Flickr. In contrast to the world of simulated college jails with willing young participants playing the mock roles of inmate and guard, real prisons must deal with the reality of uncooperative and disobedient individuals who cannot simply leave when they reach their breaking point. Emphasizing the stark reality of isolation, Breslow (2014) described solitary confinement as a “prison within a prison.” Inmates facing punishment for transgressions committed against other inmates are often relocated to solitary confinement cells ordinarily found within the Special Housing Unit (SHU) of a prison – colloquially referred to in the United States as “hotbox”, “hole”, “punk city”, “lockdown”, and “SCU” (Solitary Confinement Unit). Here the inmates are housed in a tiny cell, normally about the size of a horse stable (ranging from 6 feet by 9 feet to 8 feet by 10 feet). Food is presented exclusively through a small door slot in to a room that includes a bed, sink, toilet, and usually no window. Customarily, a single hour of exercise makes up the entire allotment of time spent outside of solitary confinement. For the remaining 23 hours, they are left inside, without human contact of any kind (Breslow, 2014). Typically, a trip to the SHU (referred to by many as “the shoe”) occurs for one of the following three reasons. (1) Multiple referrals for misbehavior can result in a sentence of solitary confinement. (2) Prison officials may place an inmate in the SHU for his or her own protection. It is not unusual to find inmates motivated to inflict harm on others, especially in the high profile cases where the newly arriving prisoner has crossed the line even by hardened criminal standards. The SHU thus serves a preventative function by placing the inmate out of danger for some period of time. (3) The least common path to solitary confinement is through a court order (Gordon, 2014). In these cases, a judge would outline specific reasons why the sentence of solitary confinement is a requirement. Here we summarize some of the factors associated with extended periods of isolation. Time requirements for solitary confinement, or disciplinary segregation, in US federal prisons are defined by the severity of the inmate offense classified into one of four categories ranging from “low, moderate, high, greatest.” For the high and greatest categories, disciplinary segregation can last 30-60 days (Kane, 2011). Our use of the term “extended segregation” refers to any period of 30 days or more. Our review of the psychological research suggests that solitary confinement results in a number of measurable negative mental health outcomes including clinical depression, anxiety disorders, abnormal sensory arousal, vegetative-like states, and suicide. Long periods of isolation can lead to changes in perception, affective disturbance, difficulties thinking, concentration issues, disturbing thoughts, and lack of impulse control (Arrigo, 2007). Collectively, these damaging effects of isolation have given rise to the term SHU syndrome. General anxiety, panic disorder, and hallucinations are included in the cluster of behaviors described by the syndrome (Arrigo, 2007). Anxiety. 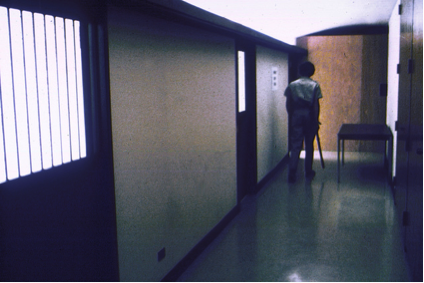 In one of the first modern SHU experiments, Walters, Callagan, and Newman (1963) compared a group of prisoners in solitary confinement for four days to a non-solitary group also over a four-day period. Results indicate that anxiety increased for the solitary group, but not the others. Although no psychomotor deficits were found, it is remarkable that such changes to anxiety levels were documented in this comparatively short amount of time. Depression. Bauer and colleagues (1993) showed that prisoners who experienced long-term solitary confinement had increased symptoms of depression, anxiety, increased arousal, and vegetative complaints. The researchers examined former political prisoners diagnosed with various psychiatric conditions using the Diagnostic and Statistical Manual of Mental Disorders (DSM-III-R). Out of the 55 prisoners in the study, 35 experienced long-term effects that did not improve even through an extended period of time (Bauer, Priebe, Blaring, & Adamczak, 1993). Suicidality and self-harm. Within the prison population of the United States, the leading cause of death is suicide and the risk factor most closely linked to it is depression. According to Kaba, et al. (2014), the combination of solitary confinement and having a diagnosable mental illness greatly increases the probability of committing serious self-injury. In a data set of over 240,000 inmate medical records from 2010 to 2013, the researchers found that 53% of the acts of self-harm came from individuals in solitary confinement. This is noteworthy because only 1,303 inmates out of the 240,000 were in isolation (0.005%), yet more than half of the self-injuries came from this group. Aggression and Impulse Control. Violence direct at self and others is seen as disobedient behavior and the punishment for acting aggressively is often more time in solitary confinement (Grassian, 2006). Some inmates are so desperate for interaction that they will go to behavioral extremes. Facing pepper spray or a taser gun because of uncontrolled screaming or causing a toilet to overflow can be seen, in this context, as positive human attention, especially when the alternative is to receive no human contact at all. Extremely limited social interaction combined with lack of sunlight further creates conditions conducive to this type of behavior developing (Arriago, et al., 2007). Prisoners with preexisting mental health problems, juveniles, or those exposed for extended periods of time are more likely to experience the most prevalent and permanent psychological symptoms associated with solitary confinement (Kelsall, 2014). Pre-existing Mental Health Problems. Approximately 50% of inmates in the SHU had some form of mental illness before arriving (Arrigo, 2007). An assumption could be made that individuals with pre-existing mental health problems might lack sufficient psychological resilience to be able to handle long stretches of isolation. Many have a hard time in the SHU, but this is especially so for inmates who enter isolation already carrying one or more diagnoses. Glancy and Murray (2006) argue that when only the most reliable studies are included in an analysis the data suggest that the severe long lasting effects of solitary confinement are only found in those with preexisting mental problems or those with less resilient personalities. Thus, the combination of isolation and preexisting mental condition seems especially potent. Age: The younger an inmate is when entering the SHU the greater the risk to their mental health (Kelsall, 2014). Length of Stay. The length of segregation period is a critical factor in predicting psychological issues. The longer an individual is held in solitary confinement, the greater the negative psychological effects. Kelsall (2014) found that, in a sample of Canadian prisoners, those exposed to solitary confinement for extended periods of time were more likely to suffer more psychological symptoms. In some cases the effects are observable within a few days. There is an expanding body of research to support the theory of a connection between urbanicity and various aspects of mental health, including disorders with psychotic elements (e.g., schizophrenia) and non-psychotic elements (e.g., loneliness and depression). The association between urbanicity and risk of schizophrenia has been documented in multiple studies (Vassos, Pederson, Murray, Collier, & Lewis, 2012; Heinz, Deserno, & Reininghaus, 2013). Greater levels of urbanicity, measured by overall population or density, are correlated with a risk of schizophrenia that is up to 2.37 times higher than in the most rural environment (Vassos, et al., 2012). Recent research has explored potential mechanisms linking social exclusion in urban environments to psychosis. Evidence suggests that factors such as social fragmentation and deprivation may play direct or indirect roles (Heinz, Deserno, & Reininghaus, 2013). A meta-analysis of psychiatric disorders in rural versus urban environments within developed countries found higher rates of mood and anxiety disorders in urbanized areas (Peen, Schoever, Beekman, & Dekker, 2010). The human desire to seek out all varieties of interactions, ranging from momentary eye contact to long term intimacy with partners, represents a basic need as fundamental to human nature today as it was to our Pleistocene ancestors. A number of studies point to the psychological effects resulting from the absence of meaningful social interactions. At any given moment, 20% of all people are unhappy because of social isolation (Masi, Chen, Hawkley, & Cacioppo, 2011). Measurable negative outcomes associated with living in isolation include clinical depression, anxiety disorders, abnormal sensory arousal, and suicide. Photo courtesy of skitterphoto / Pexels. Social scientists have known for some time that a lack of social relationships can heighten susceptibility to illness. An individual’s chances of sickness or death are doubled for those who are cut off from friendships and family (House, Landis, Umberson, 1988). A risk factor similar to smoking and obesity in scope, loneliness – which often triggers stress – has been linked to many diseases and, among mice, can even increase the growth of cancerous tumors (Williams, Pang, Delgado, Kocherginsky, Tretiakova, Krausz, Pan, He, McClintock, & Conzen, 2009). Isolation is so powerful that recalling memories of being snubbed or social excluded often leads participants to report colder room temperatures than those who were asked to recall happy times with friends (Zhong, & Leonardell, 2008). Given that dynamic evolutionary pressures helped to shape humans into the most social animal on the planet, it may not be surprising that we can “see” loneliness in the brain. When viewing pleasant and unpleasant pictures, lonely and non-lonely subjects show activation in different brain areas. One of the reward centers of the brain, the ventral striatum, is stimulated by love, food, and other desirables. When non-lonely subjects viewed the pleasant pictures in the experiment they showed more activity in that region of the brain compared to the lonely participants (Cacioppo, Norris, Decety, Monteleone, & Nusbaum, 2009). These findings underscore the dual nature of cities – rapid urban growth can be viewed simultaneously as one of the greatest opportunities for humanity and one of the greatest complications. Despite living inside crowded urban areas, residents often feel socially isolated – an emotional state that partially mimics what is seen in prisoners who are intentionally isolated as punishment. In the previous sections, we discussed the mental health risks associated with prisoner confinement and living in modern urban environments. In the next section, we describe an evolutionary approach to understanding psychological isolation. The Environment of Evolutionary Adaptatedness (EEA) refers to the ancestral environment to which a species is adapted. We offer the concept here to (1) help explain why isolation is so psychologically difficult and (2) provide guidance with future urban design in the next section of the article. An adaptationist or evolutionary psychology approach to studying a particular behavior involves understanding the environment in which the brain and behavior evolved. The idea of the EEA was first proposed by John Bowlby (1969) in the context of attachment theory. He described it as conceptual space - not a specific place - that describes the conditions and properties in which adaptation occurs: “In the case of biological systems, structure takes a form that is determined by the kind of environment in which the system has been in fact operating during its evolution… This environment I propose to term the system’s ‘environment of adaptedness.’ Only within its environment of adaptedness can it be expected that a system will work efficiently” (p. 47). The EEA does not exist as a single geographical location during a discrete period of time during human evolution. Rather it is a set of selection pressures that formed a given adaptation. For example, ancestral humans faced the adaptive problem of securing and digesting enough nutritious food to maximize energy. Taste buds were shaped in response to this adaptive problem: our ancestors who showed a preference for salt, fat, and sugar were selectively favored over those individuals who did not have similar preferences. The acquisition of salt, fat, and sugar would have been challenging for our ancestors given the absence of agriculture and the inability to mass produce high concentrations of those items. The probability of survival and reproduction for individuals who showed a preference for those foods would have been greater than for those who did not. Our taste preferences were shaped in response to the problems posed by this environment. Adaptations evolve over many generations and change “in tune” with reliable features of the environment. It is possible for an adaptation to fail to perform properly (i.e., fall “out of tune”) if the environment changes. A behavior that is maladaptive in one environment may not be maladaptive in other environments. One could make the case that the salt, fat, and sugar we consume today has a negative impact on health when consumed in large quantities over long periods of time. However, this is not evidence of maladaptivity in the EEA. Moreover, the “lack of fit” to the current environment does not change the intense desire for those substances formed in the EEA. The preference was shaped in the distant past and that is what we carry with us today, even though the consequences of the preference might be detrimental in today’s environment. The modern world differs in many important respects from the EEA. This mismatch serves as a useful starting point for understanding the function and design of current psychological mechanisms. The list of novelties offered by our modern world, but not present in the EEA includes agriculture, electricity, refrigeration, large scale weapons, medicines, mass communication, effective contraceptive devices, virtually unlimited access to all types of proteins and carbohydrates, and cities. We are navigating our current social and physical world with psychological mechanisms designed to solve problems associated with survival and reproduction in an ancestral environment very different than the one we live in now (Bennett, 2017). With this in mind, urban design can play a role in helping people who have mental illnesses, and in preventing psychological disorders from occurring in the first place. We discuss five suggestions informed by the principles of isolation and confinement that could be integrated into city and architectural design to encourage mental health (Figure 3). Prisons maintain an atmosphere of isolation by deconstructing the preferred environments of our ancestral past. This is accomplished primarily through curbing mobility, restricting desired savanna-like physical features, and suppressing visual access through windows and other viewing areas. An urban design approach of deliberately “undoing” the solitary designs of prisons would entail at least five ideas: reinforce group sizes of no more than 150 for meaningful activities, promote face-to-face interactions, include more green/organic features, expand mobility, and intensify city responsiveness. A model of urban design recommendations informed by evolutionary thinking and aimed at minimizing mental health issues. The population of the planet today is considerably larger than at any other time in human history. Between 1959 and 2042 the world population is projected to grow from 3 billion to 9 billion people, in the blink of an eye on an evolutionary scale (U.S. Census Bureau, 2016). 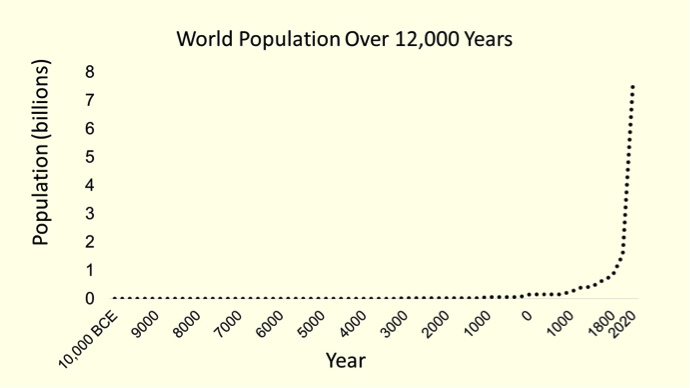 Figure 4 provides some perspective on this time frame by graphically displaying the relatively recent explosion in world population. Graph of the global population from 10,000 BCE to 2020 CE, adapted from the US Census Bureau data. The graph shows very rapid growth since the 18th century. In the span of 40 years, from 1959 to 1999, the world population doubled from 3 billion to 6 billion. According to US Census Bureau projections, the world total will reach 9 billion by 2042. Source: U.S. Census Bureau, International Database, August 2016 Update. We rely on psychological mechanisms shaped in our ancestral past to help us navigate the social and physical complexities and scale of the world today. For the first five million years of hominid history, there was almost nothing that could compare to the rate of population growth, particularly since the mid-1800s. As such, our psychological mechanisms, including emotions, decision making algorithms, and mate preferences, evolved under conditions that existed more than 10,000 years ago, when our ancestors lived in small, nomadic bands of hunter-gatherers. On average, group size was likely maintained around 100-250 individuals. Based on correlations between primate brain size and social networks, Dunbar (1992) proposed that humans can comfortably maintain relationships with approximately 150 people. Because the size of the brain's neocortex effectively limits group size, many of our social adaptations are in tune with small cohesive groups with this capacity (Dunbar, 1993). Modern city environments were non-existent for most of human history. The human brain evolved to manage social groups no bigger than 150 people and this poses problems in dense cities with populations that number in the millions. This can lead to adaptive acting out of character – for example performing like an extrovert when you are biogenically (naturally) introverted, which imposes physiological costs. It is energetically demanding to be agreeable when your instinct is to be disagreeable, or to act like you are open to new experiences and flexible when your instinct is to be structured and closed-minded. A restorative niche is a physical place where we can “regain our first natures and indulge our biogenic selves” (Little, 2014, pp. 211). A restorative niche functions to reduce those costs and gives us the freedom to be ourselves in a comfortable environment that matches our personality. Urban design could help integrate such restorative niches that limit capacity to 150 or less. Not only is it important to create spaces that meet our desires for group size, we need to find places that allow for the true expression of our personalities. Introverts may benefit from a quiet area that allows their overstimulated systems to return towards a resting baseline. In contrast, extroverts may actively seek out environments where people will engage with them. That is how they gain a sense of satisfaction. Most of us are ambiverts, somewhere in between the two extremes. That means we sometimes crave social interaction, but other times we need to retreat, and spaces should reflect this. For the past five million years, humans have faced various problems posed by the social environment (e.g., decoding emotional expressions, communicating internal mental states to others, and detecting cheaters in social interactions, etc.). Thus natural selection shaped over time a psychological repertoire that includes mechanisms for solving face-to-face social problems. However, the world of human communication is changing rapidly. Very rapidly. We are now using digital screens more than ever. As a result, those finely tuned psychological adaptations are being used in a very different way, if they are being used at all. Facebook, Twitter, Snapchat and other social media are not sufficient substitutes for face-to-face interaction. By creating public spaces that are both safe and social, cities can facilitate natural interactions between people. Existing spaces can be socially upgraded, for example, with the addition of seating areas, tables, benches, and other features that encourage dialogue and emotional expression. What is more, these features need to be arranged specifically to promote communication because many people, even though they are spending time in a public space, are buried head down in their smart phones and other devices. Smart phone games that claim to increase memory and intellect now seem de riguer in the app marketplace. Leading the way are apps like Luminosity, Happify, and Personal Zen. The evidence is mixed regarding the ability of these programs to increase cognitive performance across domains (see Kueider, Parisi, Gross, Rebok, 2012 for an extensive review). Despite the persistent popularity of these apps, research shows that people might be better off reaching out to a friend than reaching for their smart device. In a study designed to measure memory and intellectual performance, a team of researchers found that people who spent 10 minutes socializing in groups before the evaluation performed just as well as the those who spent 10 minutes reading and completing crossword puzzles (Ybarra, Burnstein, Winkielman, Keller, Manis, Chan, & Rodriguez, 2008). The research linking green spaces and mental health is compelling to us in part because it is anchored in evolved habitat preferences. The savanna hypothesis (Orians, 1980) argues that our current habitat preferences were shaped by selection pressures in our ancestral past. Specifically, selection favored preferences, motivations and decision rules that attract us to resource-rich environments while avoiding environments populated with survival threats and lacking resources. The African savanna, widely believed to be the site in which humans originated, fulfills these requirements. Support for the savanna hypothesis can be found in studies of landscape preferences. One study asked subjects to rate a series of standardized photographs of trees taken in Kenya. Pictures were taken under similar daylight and weather conditions. Each photo focused on a single tree and varied along four dimensions – canopy shape, canopy density, trunk height, and branching pattern. Subjects from Australia, Argentina, and the United States all showed similar taste in the photos depicting trees. The trees that made a moderately dense canopy with trunks that separated in two near the ground – the savanna-like trees – were preferred by participants across the three cultures. (Orians & Heerwagen, 1992). Other data suggest that the addition of trees and vegetation increases positive evaluations of built environments, thus demonstrating the transformative power of foliage (Ulrich, 1983). People will show preferences for long term signs of robust prosperity because the algorithms that make habitat-related decisions were shaped over time in response to specific positive and negative features of the environment. Indicators of harvest, such as fruit, budding flowers, and verdure, are favored over bare trees and impoverished fields. Modern technology, structural designs, and construction materials allow us to comfortably inhabit climates that would have required intense effort just a few generations ago. Still, we carry with us the psychological preferences shaped by of generations of ancestors living in a much different world and often customize our environments to resemble that ancient habitat. Most of us prefer physical spaces that offer views of green vistas over windowless basements. Looking at trees might even have a real health benefit: patients who viewed trees outside their hospital window recovered more quickly (Ulrich, 1984). Flowers also appear to have a positive impact on hospital patients. Bringing flowers increases optimism and seems to improve the rate of recovery (Watson & Burlingame, 1960). The relationship between stress and uncultivated outdoor settings may also play a role. When placed in uncertain and stressful situations, individuals who viewed pictures of nature scenery showed less physiological distress (Ulrich, 1986). Contact with vegetation need not be active, such as gardening, to provide health benefits. Passively viewing vegetation through a window can produce desirable effects as well. Studies in biophilic design demonstrate that people living and working in spaces with vegetation compared to those without vegetation show improved performance on mental tasks, more positive moods, greater ability to re-focus attention, stress reduction, and diminished perceptions of pain in health care settings (Kellert, Heewagen, & Mador, 2008). The most apparent difference between prison and non-prison settings is mobility. Restriction of range is a necessary ingredient – some would say the most essential element – in living quarters for criminal offenders. This design is, of course, out of necessity and not a choice made by the convict inside. Unfortunately, many people who enjoy the freedom that comes with urban living also face a similar, albeit milder, frustration concerning mobility issues. Out of the five recommendations we offer here, perhaps mobility holds the most promise to galvanize real change. The importance of mobility is sometimes appreciated only in its absence, especially when the outside world is accessible, but other factors remain in the way. For example, not all urban residents consider healthy commuting part of their regular personal routines. One of the determining factors for people who are serious about achieving success in an area of self-improvement (e.g., weight management, memory performance, or relationship skills) is consistency. It is very difficult to lose weight if you eat impetuously six days of the week. By the same token, “mobility as a routine” does not come easily if a person only utilizes mobility options once a week or less. As urban planners work to develop elements that promote physical health there is also an opening to fortify mental health. We ask designers to consider engineering schemes that inspire exercise during commutes, errands, and socializing. For instance, improving walkable spaces by widening pathways and making them safe areas. Because exercise begets more exercise, it follows that mobility will play a greater role in personal routines over time. This is important because regular physical activity has a positive impact on nearly every aspect of psychological well-being. We already know a good deal about how physical spaces affect mood and activity. For example, while everyday places like coffee shops and dorm rooms influence emotions, it is also true that we choose places based on our mood, or the mood we would like to achieve (Gosling, Gifford, & McCunn, 2013; Gosling, Ko, Mannarelli, &Morris, 2002). In addition, there is growing body of literature on the links between personality traits and geographic regions (Rentfrow, 2010; Rentfrow, Gosling, Jokela, Stillwell, Kosinski, & Potter, 2013; Oishi, Talhelm, & Lee, 2015). But is it possible to teach an environment to respond to our needs and desires? Many of us are familiar with fictional stories in which inanimate bodies are infused with life. The Velveteen Rabbit, the talking trees in The Lord of the Rings, Pinocchio, and Seth MacFarlane’s Ted are just a few examples of things becoming conscious - the mental state of being aware of ourselves. Could we achieve a similar goal with our cities? Can we inject life into urban landscapes made out of physical materials? In reality, smart cities, conscious cities, and cities that respond to our desires may be considered futuristic, but we are already interacting with algorithms on a daily basis. We have smart technology that allows us to move massive quantities of data globally in seconds. Our cars talk to us, we map out routes on our phones, tweet ideas, blog our adventures, and post photos. What happens when a city becomes aware of this information and begins to use it to make changes that impact our social lives? Such adjustments can be instantaneous or unfold slowly over time. Based on patterns of behavior, a “smart” or “responsive” city could make adjustments that would motivate playful learning for children after school or offer more social interaction opportunities in places where depression rates are high. A conscious city could realize the times when inhabitants in a specific area are being bombarded with stimuli and engage in adaptive, self-correcting behavior to reduce the unnecessary distractions. 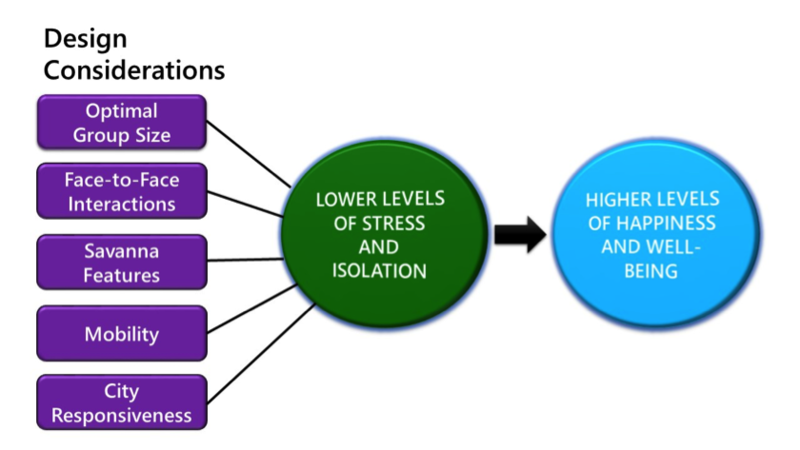 The desired outcomes are decreased stress and isolation, and increased workplace efficiency. Cities, like people, are becoming smart and responsive, and there is no reason to expect this trend will slow. Some technology futurists are predicting very significant changes along this front in the next 10-15 years. The arrival of augmented reality (AR) seems inevitable ever since the launch of Google Glass in 2013. Since then, developers have been racing to deliver wearable headset devices with powers originally classified only as science fiction. These capabilities include augmenting reality with your own physical world, projecting high resolution 3D images, and manipulating those images with your hands. If Scoble and Israel (2017) are correct, billions of people by 2025 will be using AR as the center of their digital lives. If this transformation seems impossibly fast, keep in mind that two of the top “revolutionary” ideas of TechCrunch 2006 were the BlackBerry Pearl and the iPod Shuffle – two devices that are have been mostly forgotten in less than a decade. 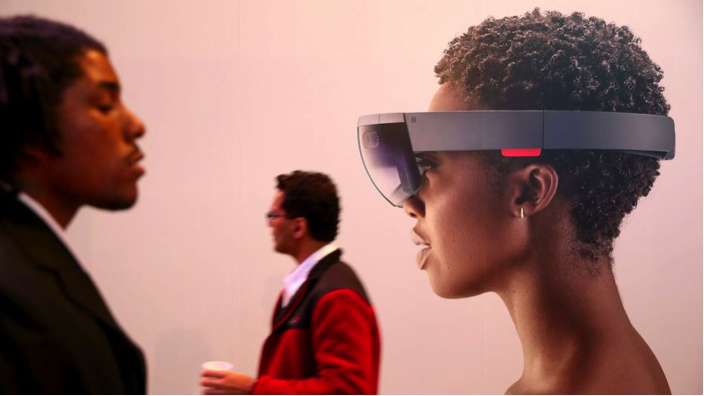 The Microsoft HoloLens was one of the first commercially available fully mobile augmented reality headsets. Early testing indicates that augmented reality headsets, much more so than virtual reality, will increase sociability for the user by freeing up hands and raising eyes to interact with other users. In a perfect future, this means that we can embrace the technological innovations of tomorrow while holding on to the social aspects of life that are necessary for mental health. Photo courtesy of HoloLens Virals / Flickr. It is difficult to articulate precisely how this technology will impact social isolation in urban environments, but early indications point to some positive news. AR technology is especially relevant to the discussion of isolation because in most cases these headsets bring users together instead of pulling users into solitary bubbles. In contrast to handheld mobile devices that force people to bury their heads and avoid human contact, AR headsets demand that you look up to interact with the world around you. The recent world-wide success of Pokemon Go (a gaming app that uses AR technology that you must be mobile to play) speaks to this. Although there is currently much excitement for these innovations, more research is needed to figure out how this technology will change our lives for better or worse. (1) Solitary confinement in prisons and isolation in urban settings are both associated with mental conditions, as documented by numerous studies, including depression, anxiety, increased arousal, and self-harm. (2) An evolutionary-informed scheme is put forward as a way of better understanding the “lack of fit” between evolved psychological mechanisms and conditions of human isolation. (3) Working within this evolutionary framework, we propose five categories for urban designers to consider: group size, face-to-face interactions, savanna features, mobility, and city responsiveness. We believe that these recommendations have potential to positively influence the profession of urban design. From monuments that inspire awe in everyone, to casinos that disconnect us to the outside world, we have begun to use advances in psychology and neuroscience to improve environments like homes, hospitals, and schools. Moving ahead, we have an opportunity to improve life satisfaction through programs of architecture and urban design that are informed by personality and behavioral science. Moreover, we have a duty to make sure that effective new theories are used ethically, so that as communities develop they become more democratic, inclusive, happier, and healthier. Dunbar, R. I. M. (1992). Neocortex size as a constraint on group size in primates. Journal of Human Evolution. 22 (6): 469–493. Dunbar, R.I.M. (1993). Coevolution of neocortical size, group size and language in humans. Behavioral and Brain Sciences. 16 (4): 681–735. Gordon, S. E. (2014). Solitary confinement, public safety, and recidivism. University of Michigan Journal of Law Reform, 47(2), 495. Gosling, S. D., Gifford, R., & McCunn, L. (2013). The selection, creation, and perception of interior spaces: An environmental psychology approach. In G. Brooker & L. Weinthal (Eds. ), The Handbook of Interior Architecture and Design (pp. 278-290). Oxford, UK: Berg. Gosling, S. D., Ko, S. J., Mannarelli, T., & Morris, M. E. (2002). A Room with a cue: Judgments of personality based on offices and bedrooms. Journal of Personality and Social Psychology, 82, 379-398. Kellert, S. R., Heerwagen, J., & Mador, M. (2008). Biophilic design: The theory, science, and practice of bringing buildings to life. Hoboken, N.J: Wiley. Little, B. R. (2014). Me, myself, and us: The science of personality and the art of well-being. New York: PublicAffairs. Méndez, J. E. (2011). U.N. special rapporteur on torture and other cruel, inhuman or degrading treatment or punishment. United Nations. Onwuegbuzie, A. J., & Frels, R. (2016). 7 steps to a comprehensive literature review: A multimodal & cultural approach. Los Angeles: SAGE. Orians, G. & Heerwagen, J. H. (1992). Evolved responses to landscapes. In J. H. Barkow, L. Cosmides, & J. Tooby (Eds. ), The adapted mind: Evolutionary psychology and the generation of culture. New York: University Press. Suedfeld, P. (1984). Measuring the effects of solitary confinement. American Journal of Psychiatry, 141(10), 1306-a-1307. Ulrich, R.S. (1983). Aesthetic and affective response to natural environment. In I. Altman & J. Wohlwill (Eds. ), Human behavior and environment, Vo1.6: Behavior and natural environment. New York: Plenum, 85-1 25. Watson, D. P., & Burlingame, A. W. (1960). Therapy through horticulture. New York: Macmillan. Kevin Bennett is Director of the Personality and Human Performance Lab (PHPL) and Assistant Teaching Professor in Psychology at Penn State University, Beaver Campus. He is most interested in research questions that address how personality interacts with our social and physical worlds. Specifically, how do people express preferences about features in natural and built environments? And how do we make decisions about locations inside and outside of designed spaces? In addition to earning degrees from the University of Michigan (BA, Psychology) and the University of New Mexico (MS, Experimental Psychology), he is currently completing a PhD in psychology from City, University of London in the UK. Tyler Gualtieri studies criminal justice at Penn State University, Beaver Campus. His research interests lie at the crossroads of mental health and criminology. He is especially attracted to studies that attempt to bridge the gap between psychological functioning and administration of justice issues. 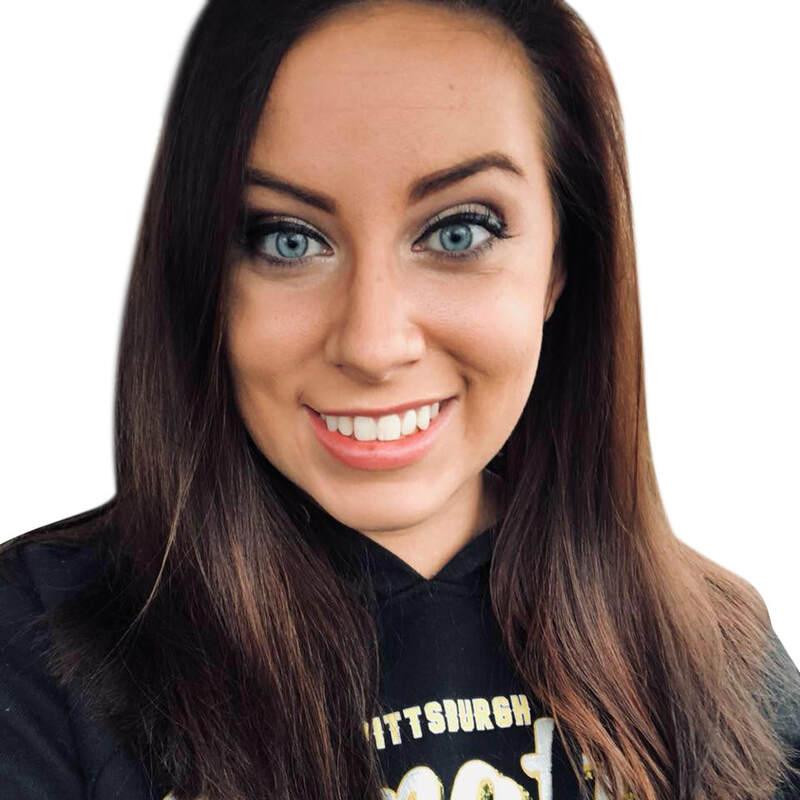 Becky Kazmierczyk is a student in the psychology program at Penn State University, Beaver Campus. With minors in criminal justice and civic/community engagement, she is most interested in research on the practical applications of psychology to the criminal justice system. Her plans include a PhD. program in clinical psychology and a career in forensic mental health.